WELCOME to the Cornish-American (CORNISH-AMERICAN-L) Discussion List. 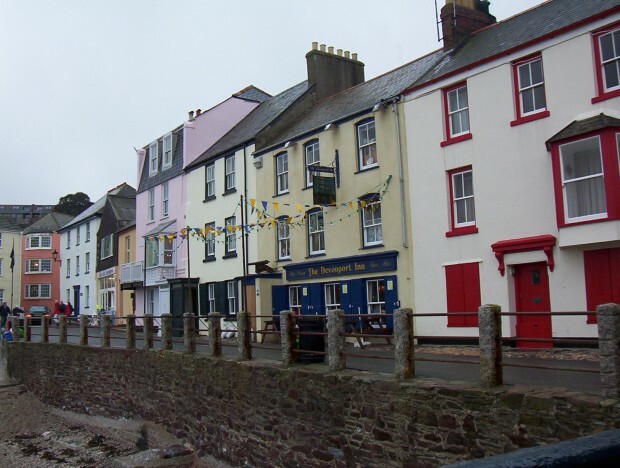 This is a discussion area for anyone who has an interest in the Genealogy, History, Culture or anything related to the Cornish immigration to the United States. If your ancestor(s) lived or even just passed through America, they have a special type of culture. The fun part of the list is figuring our what part or our traditions originated in Cornwall or originated in the USA. Because of the many different immigrants all living in poor neighborhoods when they first came over, many of our traditions are a result of the many nationalities living together. This list will be a place where we discuss those traditions that include holidays, recipes, music, weddings, births, funerals/wakes, etc. Hopefully, in our discourse we will find not only genealogical connections, directions and resources but also where our family traditions started and which are pure Cornish, which are Cornish American or which are the result of that wonderful melting pot, the United States of America. Another interesting aspect of the Cornish immigration is how they migrated through out the United States. While most landed in New York City or other East Coast ports, and some stayed in those areas, many branched out across the country. What attracted them to other parts of the USA, the gold strike in California, homesteading in many states, religion? This is the main site for the mailing list. It includes instructions on how to subscribe and unsubscribe to the list and other addresses that will be helpful for the CORNISH-AMERICAN subscriber. 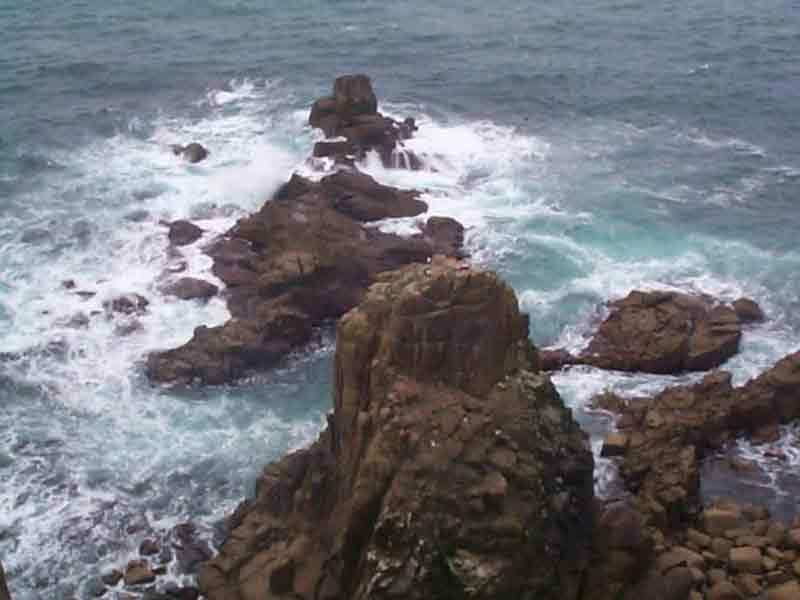 There are guidelines for the list, links for both areas, links for Cornwall, links for the United States and other interesting information. Once the list gets moving, a surname registry will be added, along with other pages as the need develops. and you will not be unsubscribed. You must use the above link. You can use CAPS or lowercase, it doesn't matter. L Subscription = You get each message as it is posted to the list. D Subscription = You get a group of messages about once a day (digest). David Helfand composes and performs original and traditional music on Celtic Harp, mandocello, guitar, keyboards and percussion. 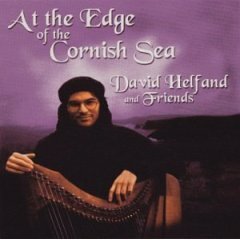 David's latest CD, "At the Edge of the Cornish Sea" released in 2002, is based upon his first journey to Britain and was inspired by his travels to the castle ruins of Tintagel in Cornwall, Glastonbury, Stonehenge, and London. Accuracy is important and sources are vital. Ancestor lists are worthless if the information is wrong. All information need not be accompanied by source citations, but it is recommended strongly that posts either include sources or a note stating that they are available on request. If information is speculation then label it as such until it is proven or commonly accepted as fact. When posting your query try to give as much information as you know, i.e. dates and places of all vital events if known, along with enough other family members so that the reader can positively identify if they are researching the same family. "Anyone out there researching SMITHs?" is very broad and most likely won't get you any results. When posting your query it is helpful to make the message as readable as possible. One paragraph, a page long, full of names and dates, is hard to follow and most people won't bother to take the time to fully read it. Write surnames in CAPITAL letters. They are much easier to read and are the generally accepted way to write surnames. Avoid writing your entire message in capital letters. It is very difficult to read and is considered as yelling at the reader. When replying to the list (this also can apply to private replies) try to quote some portions of the previous message so that other readers are reminded what the "thread" is about. Make it clear what is quoted material and what you are adding. Most mail readers take care of this for you by inserting greater-than signs ">" at the beginning of each quoted line or possibly double brackets "<<" before and ">>" after the quoted piece. Use standard Windows procedures to "cut" unnecessary material. Please do not quote the whole email, especially digests, it take up too much space in the archives and is very annoying to the reader. Post your query frequently if you have not yet found the information you are seeking regarding your ancestor. New people are joining the list all the time and they may have the info you need. Please send replies to the list, not just to the original poster if you think that other members may benefit from the data that you provide. This list is for the discussion of the Genealogy, Culture and History of Cornish Americans. Discussion of surnames, migration patterns, immigration, heraldry, historical sketches, settlements, census data, wills, family Bibles, vital records, web sites, etc. is encouraged. Do not post test messages, chain letters, political/religious announcements or views, current events, items for sale, personal messages, etc. If you receive a virus message from the computer of someone on the list, do NOT post their name and address to the list. Inform me and I'll unsub them, if needed, and help them get the help they need to clean their computer. Try to keep quoting to a minimum. "Quoting" is repeating text of the message you are replying to. Some quoting is necessary to remind other readers what the thread is about but do try to use good judgment. Quoting the previous writer's signature block or surname list is totally unnecessary. Sending a list of the Surnames you are searching is okay but please try to limit them to one or two names at a time. Any more than that and many people just won't read them. Try keeping several small lists and rotate them with each succeeding message. By all means do not put "roll call" as the sole subject line. List the surnames themselves in the subject line. It is also helpful to list the time frame. you may have regarding the list. Talk Now! is designed for people who want to learn a language quickly. If you don't have time to become fluent, but need the basics in a hurry, Talk Now! is for you. Talk Now! uses games and quizzes as a basis for making the learning process fun and relaxing. This is the classic reference work on English and Welsh surnames, with dated and documented examples given in the text and American instances cited in many cases where the name appeared in the directories of such cities as Boston, New York, and Philadelphia. It contains over 30,000 entries in dictionary form, three columns to a page, giving the origin and history of each surname, lists of persons bearing the name in various centuries, and the frequency of the name and its variants in certain nineteenth-century English and American directories. The dictionary itself is preceded by a lengthy introduction, which in itself is a formidable essay on family nomenclature. Among other things the reader will find many references to baptisms and marriages published by the various English record societies. The only book of its kind, this indispensable reference tool with its 17,000 entries is designed to facilitate research by giving the names and descriptions of places in England as they existed prior to 1831. Included are the location, ecclesiastical jurisdiction, population, and the date of the earliest entry in the registers of every ancient parish; in other words, genealogical information hitherto impossible to find in any but the rarest sources. Review: Although from the UK, I picked up this book on a recent visit to the US. From the start, it was obviously a much better book than anything available at home. I have now read it from cover to cover and would recommend it to any English reader. It answered questions I have not found answers to in the UK (such as how did the poor register births, marriages and deaths when they lived a long way from the Registrar's office). New Hampshire’s Cornish Colony illustrates this distinguished American art colony. First settled in 1885 by colleagues of America’s Michelangelo, Augustus Saint-Gaudens, the Cornish Colony was a retreat for sculptors, painters, writers, and musicians. They were attracted to this peaceful valley nestled in the New Hampshire hills in the shadow of Vermont’s Mount Ascutney. Known as “the Athens of America,” the Cornish Colony was a lively, glamorous society during its heyday from 1885 to 1925.